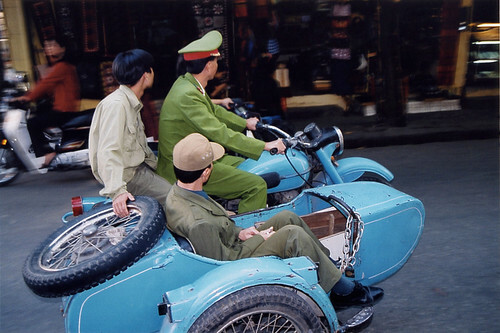 In 2003 the streets of Vietnam were fast-moving ‘rivers’ of motorcycles that threatened to mow me down every time I wanted to go anywhere. In 2013 the traffic was still insane. Motorcycles wove in and out of pedestrians and visa versa. 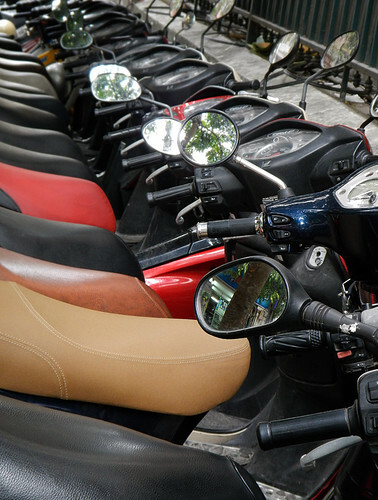 In 2003 motorcycles were meant for transporting the entire family plus shopping, pigs, ducks and perhaps a four by four foot sheet of plate glass. 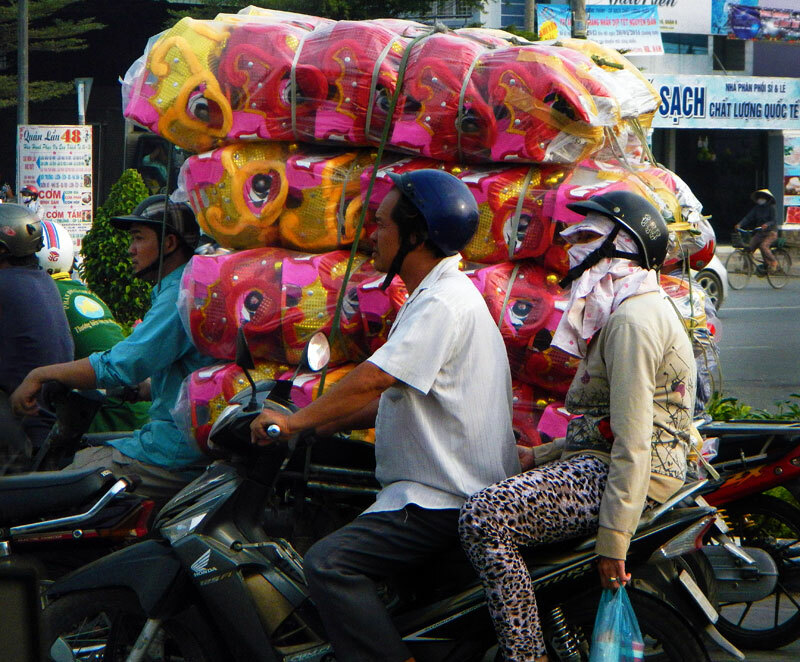 In 2013 the Vietnamese still loaded up their motorbikes to a degree rarely seen elsewhere. Sidewalks weren’t for walking on, they were for parking your motorcycle. 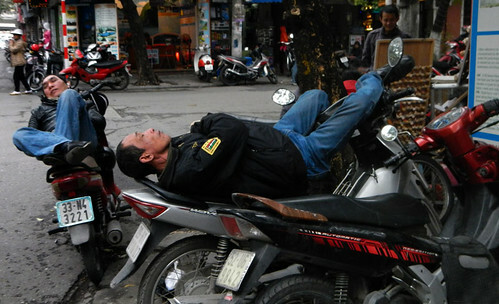 Motorbikes were a popular place for afternoon naps, even in cold and rainy Hanoi. 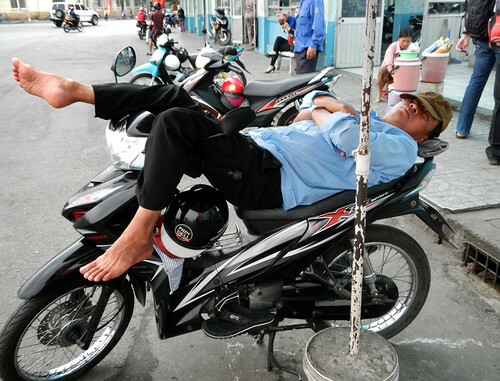 And in steamy HCMC (Saigon) as well, where a endearing family of rats peak out from the drains just below the motorcyclist’s sleeping head. By 2013 mandatory helmet laws had been enacted so you no longer saw an entire family of five piled on a motorbike without any safety equipment. 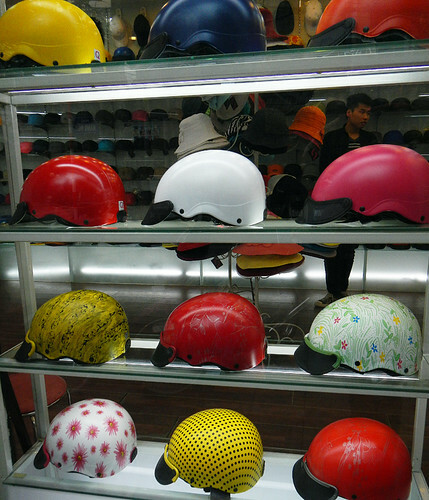 However the helmets we saw were more of a fashion accessory as opposed to safety gear. In fact, by 2013 motorcycles were starting to get down-right glamorous! 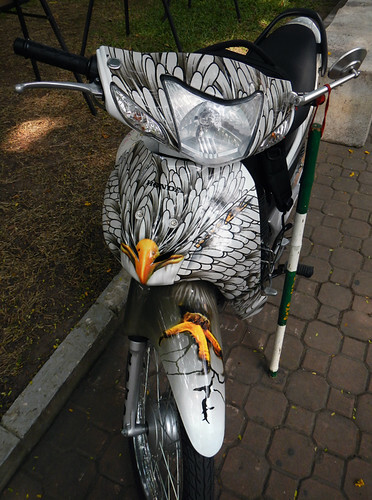 More on Cee’s Fun Foto Challenge: Motorcycles or Bicycles. 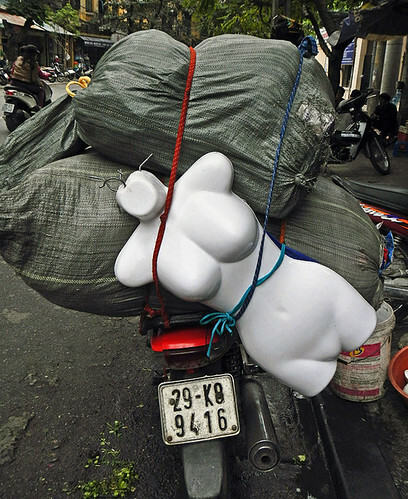 ← Myanmar: Wondering Where the Money Went! Yes, there were extremely coordininated outfits and colourful outfits out there….